We all have lots of 'where' questions. Where are the students with the highest grades? Where is the nearest hospital with the lowest wait time? How do my sales in one city compare to this other one? Maps are often one of the best answers. They're special, because maps take advantage of our preassociation of places with certain map locations and shapes. It's an easy and effective way to plot and find geographic data. This is pretty much as it sounds. The new default mouse-drag action is to pan the map. Raise your hand if you didn't know for the longest time that you could pan at all. (*raises hand) This is one change that gives maps a more responsive, web-like feel. Give it a whirl! When you pan, you'll notice that we automatically start drawing the map as you pan before you let go of the mouse. We made this change in Tableau 8.2 for web views, and now we've moved it to Tableau Desktop too. This doesn't mean you can't use the good ol' rectangular select. You'll find that now in the selection flyout menu in the upper left corner. You'll also find two new selection tools: radial and lasso. They're great for selecting marks around a center or choosing hard to get points. And we have keyboard shortcuts too. Hit Alt (or Option on a Mac) + A (rectangle), S (radial), or D (lasso). You can also hold the Shift key to lock those selection tools. You'll also see a new selection experience on mobile devices. The upper-left corner now lets you change between pan and the three selection tools. I grew up watching this TV show called "Where in the World is Carmen Sandiego." It was great for my geography knowledge, and if you'd asked me to name any city or country in the world I could've done it. Problem is, I'm not 12 years old anymore. Which is where the new Geographic Search comes in handy. You'll find it in the upper left of any map, and it works just like you'd expect. Type in any location you're looking for, Tableau will give you a list of highly-probable options you want, and then will take you to said location. Also, the search is "data-aware." If you’re looking at data in the United States, and search for "Paris", the top hit will be "Paris, Texas" and not "Paris, France." Whereas if you’re looking at the world, we’ll show you the other way around. By the way, did you notice the shading on the map? Data layers are back! Japan: cities will match whether you use the name with an affix or not. Check out these Australian LGAs for New South Wales. 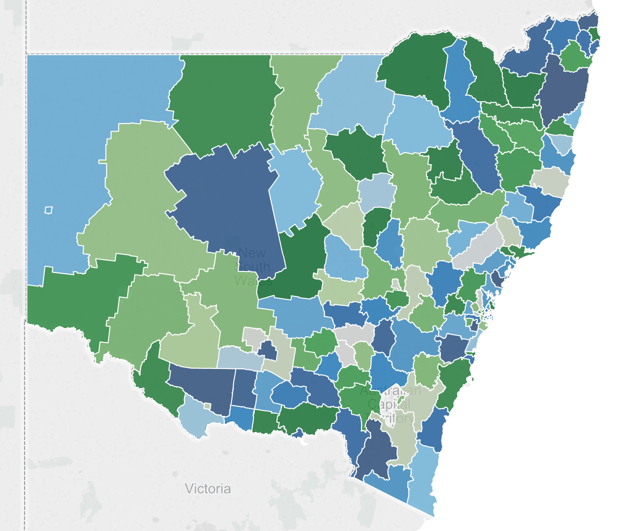 With Tableau 8.2 we laid the groundwork for some rather large changes to maps. Tableau 9.0 builds on that foundation, and gives you a glimpse of where we want to take mapping in the future. Great developments with the maps, excellent work, but still no mention of UK postcodes. As there are 1.7m postcodes in use with 2.5m issued, it blocks use on Tableau Public with the 1m row limitation.
) so can't wait to get my hands on version 9 - any idea of timescales or options to get on the Beta? The best way to try the Beta is to contact your account rep. They'll be able to sign you up so you can try using v9. As for postcodes, we know that there are more and more in general (and more data all around too boot). The best way right now to use that data is extract to what you need for the view you want to share. Of course, we are looking at ways of allowing authors to make full use of all data they find on the public web. Will it be easier to merge longitude and latitudes from multiple files? When will you all include Census Tracts and Census Blocks in your Geocoding? I second this. It is a huge limitation for us not to have this built in, You have geographies form all over the world, why not census tracts and blocks/blockgroups? 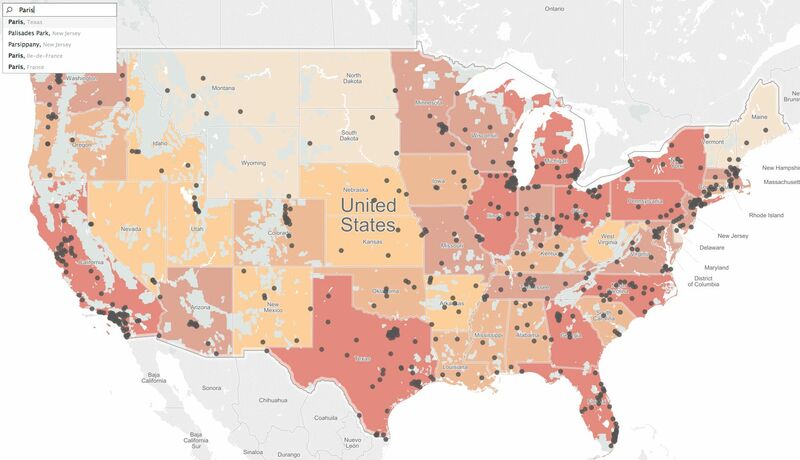 Will Tableau 9 have three digit zip codes (USA) built into the geocoding?